It has always been my dream to work on an HIV/AIDS related issue, and this dream came true in the summer of 2009 when Life Unlimited helped finance my trip to South Africa where I worked on an AIDS awareness program with school children. The funding they provided me met most of my travel expenses, and for this contribution, I am truly grateful. 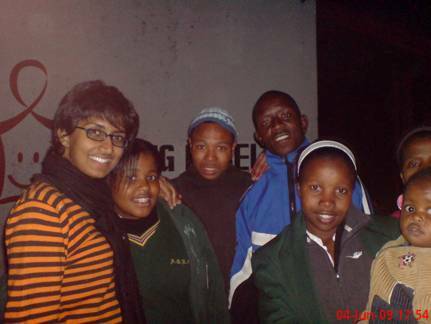 To fulfill this dream, I also partnered with AIESEC, (an international student's organization which facilitates international student exchanges,) volunteering to work with their African AIDS awareness initiative called the ASK (Answers, Solutions and Knowledge) program in South Africa, from May to mid-June 2009. Over the six weeks I worked on the project, I held sessions twice a week at three schools, educating teenagers about the disease, and spreading awareness about its prevention, using the ASK module. Working on the ASK Project was indeed a multi-faceted experience. It involved getting schools on board the project, scheduling meetings with school principals, and drawing up session schedules with Life Orientation teachers. It was a very enriching experience – liaising and coordinating with concerned parties to organize and kick start the project. It was my experience that some schools are positive, others would read the proposal, but need a lot of prodding, while others would be negatively inclined right from the outset. For the first time in my life, I truly appreciated the challenges of achievement through networking and personal interaction - a valuable contribution to my learning curve. 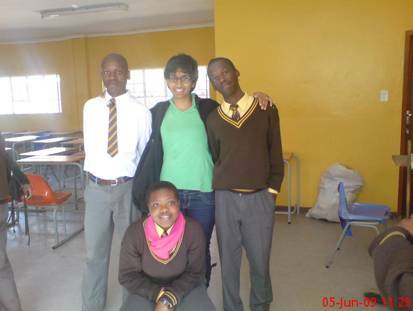 The second phase of the project involved the two-way training – being trained by Standard Chartered facilitators (who trained us using their own HIV/AIDS awareness module called 'Bridges of Hope',) and then imparting the same instruction to the learners in schools. 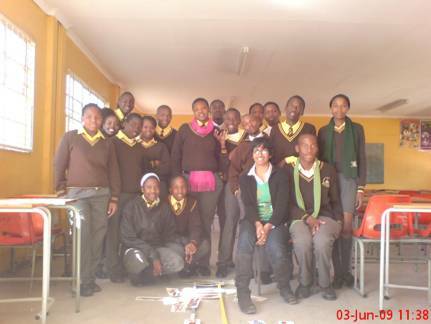 The closely related third phase of project implementation was the merging of the ASK Module with the Standard Chartered Bridges of Hope Module, a task which required both creativity and planning – making sessions as interesting and interactive as possible within the stipulated time frame of sessions in various schools. Once the training began, working with children from grades 9-11 proved to be a very rewarding experience! Being a trainer entails being one step ahead of the learners, which meant that I ended up doing a lot of my own research on HIV/AIDS. I derived great fulfillment from bringing awareness of this virus and its related issues to others, and in enhancing my own knowledge in the process. Furthermore, in 2003, President Bush's Emergency Plan for AIDS Relief (PEPFAR) was launched to combat global HIV/AIDS – the largest commitment by any nation to combat a single disease in history. In early January 2009, I began corresponding with US-Aid authorities on the viability of working with PEPFAR and/or its affiliated organizations in South Africa over the summer of 2009. They responded positively, and so that summer I was also able to work with a PEPFAR funded NGO called Ikageng Itirileng in Soweto. They are an organization that works with children who have been orphaned by HIV/AIDS. My work with Ikageng also centered around peer education, and with these children too, I used the same modules that I used in my sessions with the school children. The experience of my summer project was a very rewarding one. 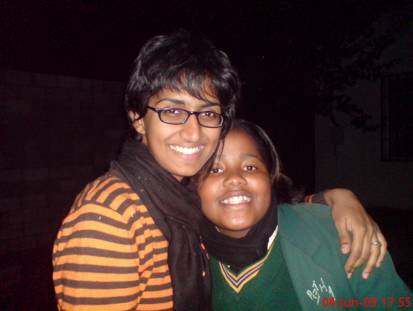 This included not only the wonderful experience of peer education on an issue that is very important to me, but also my exposure to the vibrant South African culture I was exposed to - both during my working weekdays as well as my sight-seeing weekends. The combination made for a summer I will never forget. Thank you LU for making it all possible!